Drexel University (in Philadelphia, Pennsylvania) and Northeastern University (in Boston, Massachusetts) are private research universities. They have forged their own paths and, in so doing, have set an example for other institutions. They are of similar size and both are located in urban areas of popular, sports-crazy cities. What puts them together in this write-up is the educational experience at both of these institutions is centered around experiential learning: the concept that the best way to learn is by engaging in activity outside the classroom that reinforces formal instruction. Education as a career preparation model was the vision of Drexel’s founder Anthony Joseph Drexel, so Drexel was among the early institutions to pursue this path. The heart of the model is the co-operative education program. This is more than just a stop by the workplace after class scenario. This is a system in which students alternate academic semesters with periods of full-time employment, as each experience informs and enhances the other. This can be an international gig as well. Both universities have arrangements with co-op partners around the globe, and sometimes those placements morph into service opportunities. Call that a win-win-win! Research is a natural extension of co-op. At Northeastern, students can participate in research capstone projects in a variety of fields from the humanities to business to the health sciences. Drexel encourages discovery and innovation. Its Close School of Entrepreneurship offers over 20 entrepreneurship courses. Additionally, any Drexel student can pursue a position in an entrepreneurship co-op. Those who successfully establish a beginning business receive $15,000 in funding, mentorship, and workspace. Clearly, the co-op programs are the lifeblood of these institutions, but they are only part of the story. We can’t forget the academic side. 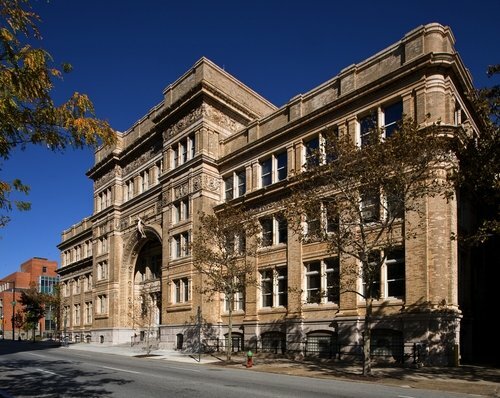 Drexel has eleven schools and colleges that offer 80 undergraduate degrees plus additional degree programs of all levels offered through its School of Law, Graduate College, College of Medicine, and College of Professional Studies. Northeastern’s undergraduate, graduate, and pre-professional programs are concentrated in eight colleges and programs. In all, Northeastern offers its undergrads 175 majors and over 120 combined majors. These programs plus the educational extension through the co-op programs provide virtually unlimited options for the students who attend, but there’s more involved than choice. Both Drexel and Northeastern understand that they are offering more than academics to their students. They are cultivating and enhancing students’ preparation for life and careers. They provide opportunities for them to expand the limits of their knowledge, apply what they have learned, and emerge with a set of skills that will prepare them to meet life’s challenges and be attractive to potential employers. Isn’t that what an education is supposed to do? Well done to both of these universities!